16 Beach Music Self Catering - Beachview Accommodation. Beachfront Self Catering. 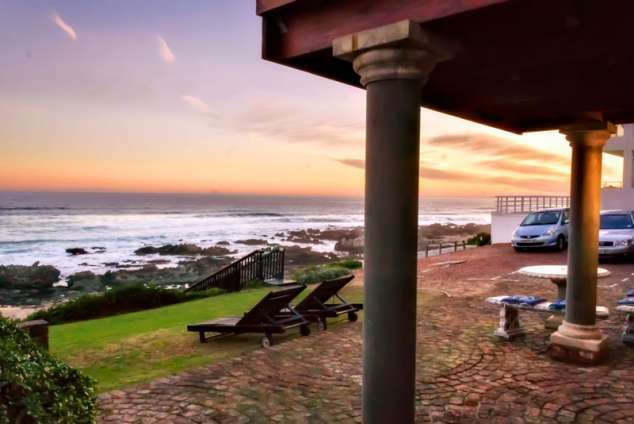 Situated on the spectacular coastline of Beachview, we offer you relaxed beach house living. Enjoy the best of both worlds, the benefits of seaside living and the close proximity of the city. 16 Beach Music is within 30 km of Port Elizabeth Airport, 12km from N2 (access to Garden Route) and 68 km from Addo Elephant National Park. Free Wi Fi and secure onsite parking is provided. There are shops within 3 km of the property and a restaurant 2 km away. Popular activities in the area include fishing, sand boarding, kite surfing and paragliding. All the rooms have unobstructed ocean and beach views, access to the beach, outside entrances and secure onsite parking. Ground floor. Outside entrance. Unobstructed, sea & beach views. Sliding doors open onto the patio. Rock / Surf fishing, pool swimming / snorkelling. (Less than 50 meters away). Two challenging 4x4 trails a few minutes away. Sand boarding, Kite surfing, Para gliding a few minutes away at Maitland dunes. Endless possibilities for safe cycling, walking, fishing or just enjoying nature. A wide variety of game farms in this malaria free Province. The Kragga Kamma and well-known Addo Elephant Park and various Safari Lodges are also in close proximity. (M9 Walmer/Seaview) after +- 4km Heugh Road becomes Buffelsfontein Road. opposite the shopping center into Elizabeth Road (Maitland Mouth/ Beachview). the house (on the sea facing side). Head toward PE on the N2 , pass Jeffreys Bay , Van Stadens and Blue Horizon. (on the sea facing side). and Lorraine turn-offs. Turn left at the next turn off (Greenbushes/Seaview). Take your first left and drive for 9.7km to the shopping centre on your left. the driveway and park in front of the house (on the sea facing side). 33192 page views since 09 Jun, 2008.